Have you noticed your dog has suddenly made some new, not so nice ‘friends’? These nasty little worms are no friends of yours or your dogs and that’s why home remedies for worms in dogs need to be the first place you turn to put an end to these unsightly parasites. I am an experienced dog owner and am very passionate about dog health which is why I’ve found these awesome home remedies for worms in dogs so you and your dog can get back to the best of health. No matter the cause, being able to identify the type of worm you are dealing with is important because some worms can be contracted to humans- especially children. This is why you will need to practice strict hygiene around your dog and any children that may be present. Hookworms will be found in your dog’s small intestines where they like to feed on your dog’s blood. They are grey in color and typically ½ an inch to ¾ an inch in length. Also living in the small intestines, roundworms are long and thin. They can be anywhere from one to seven inches in length and resemble cooked spaghetti noodles. Tapeworms will live throughout your dog’s intestinal system. They are long and flat and many times you will see the segments of the tapeworm that have broken off from the live tapeworm in your dog’s feces. 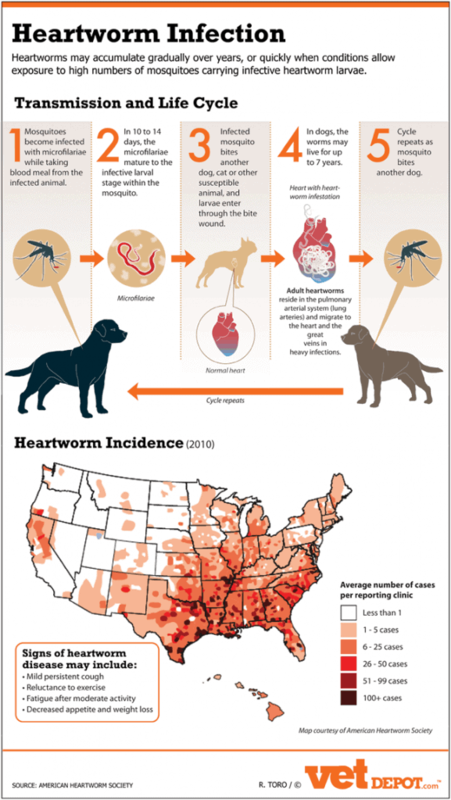 Heartworms are given to dogs through mosquitos. 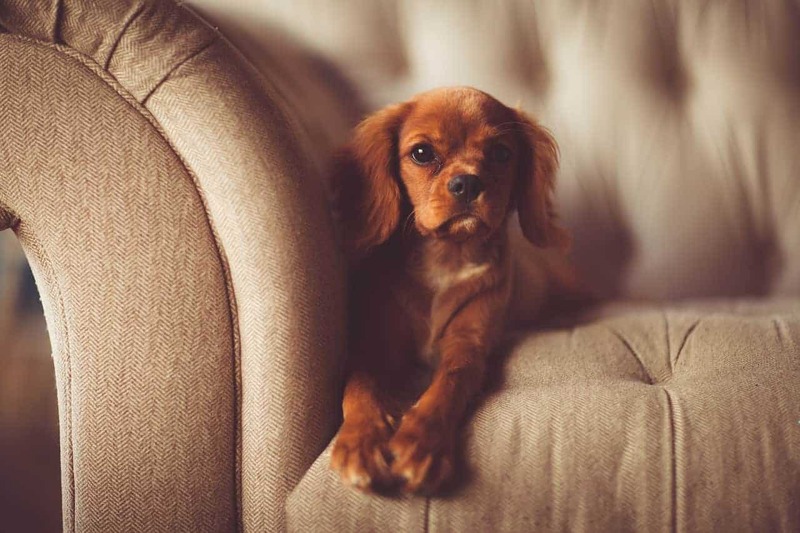 They are larvae like and can reside in your dog undetected for years. This is why you should routinely test your dog’s blood at your vet to determine the presence of this type of worm. Unfortunately, if your dog is exhibiting signs of heartworms, it may be too late since heartworms are highly fatal in dogs. Once again, it is important to routinely test your dog’s blood for heartworms. Threadworms are thin, tiny, and threadlike- which is where there name comes from. Threadworms are transmitted through saliva and can get into your dog’s blood stream, windpipes, and intestines. 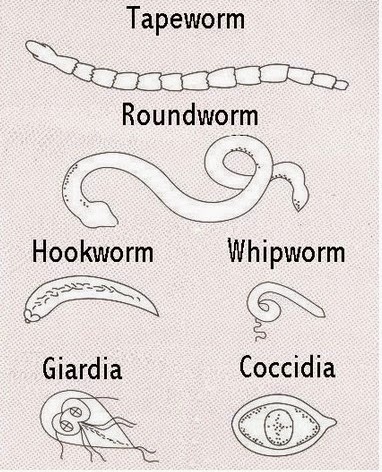 Understanding the life cycle of worms can help you interrupt it and stop the reproduction of any worms present and therefore, stop the worm infestation. Worms can be caused by eating fleas and flea larvae, mosquito bites, and/or ingesting contaminated feces of other animals with worms. Once this has happened to your dog, the worms will immediately begin to hatch in their bloodstream and/or intestines. The worms will remain in larvae stage for seven to ten days before they reach adulthood. This is why you may not see signs or symptoms of the worms until the infestation has fully taken hold. After the worms reach adulthood, they will begin to feed. The feeding process allows them to reproduce and the adult worms will lay hundreds and even thousands of eggs in your dog’s system. The eggs will appear so often and in such high quantities, that some will be expelled in your dog’s feces. Noticing eggs in your dog’s feces is usually the first sign of a worm infestation. The full life cycle of worms can take anywhere from four to seven days once they have made it into your dog’s system. This is one of the reasons you may not notice your dog has worms until they are chock full of them. Luckily, there are several home remedies for worms in dogs that will help to interrupt the breeding and life cycles of worms. Once you can interrupt the breeding cycle by killing off any adult worms present, you can begin to stop the infestation. It is important to continue de-worming treatment to ensure that all eggs and larvae have been removed from your dog’s system. 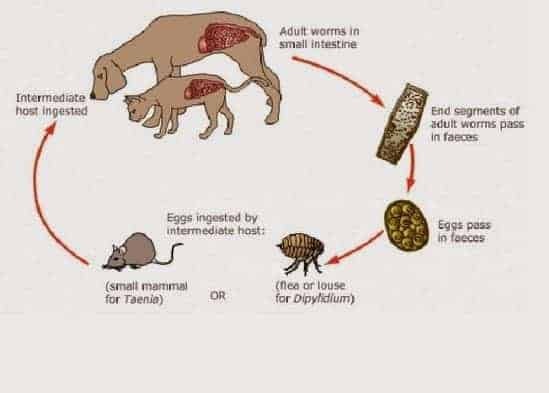 This is why most home remedies for worms in dogs will take at least two weeks so that you can ensure you have fully eradicated all larvae and eggs from your dog so the infestation does not take hold again. You can learn even more about this problem here. The tricky thing about worms, is your dog can show no signs or symptoms until the infestation is full blown. Depending on the overall health of your dog or it’s age, it may show only one sign or symptom of worms, yet many dogs with worms will exhibit several of the above listed signs and symptoms all at once. Peel and finely chop the cloves of raw garlic. Allow it to sit in room temperature for at least 15 minutes. 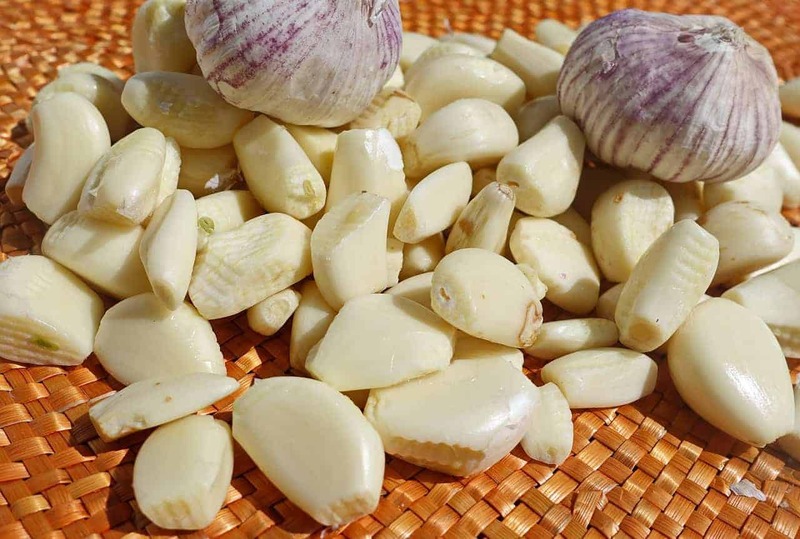 This will allow the allicin to be released and make the garlic more effective. Give your dog their dosage of garlic twice per day until they are no longer expelling worms or eggs in their feces. 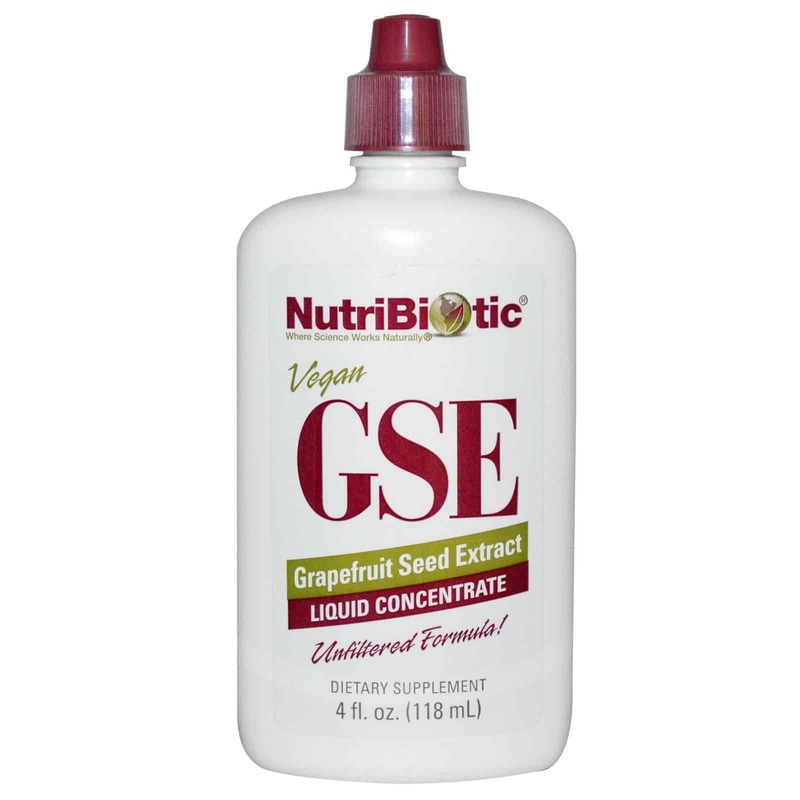 Grapefruit Seed Extract also known as GSE is an acidic supplement and once it is in your dog’s digestive system, it will help to remove the mucus lining as well as help to kill any worm larvae. The acid from the grapefruit seed extract makes the digestive system too acidic for any worms present. Combine 5-10 drops of the GSE into your dog’s food. For every 10 pounds of weigh that is one your dog, you will need to add 5-10 drops. Repeat this twice per day for at least two weeks. 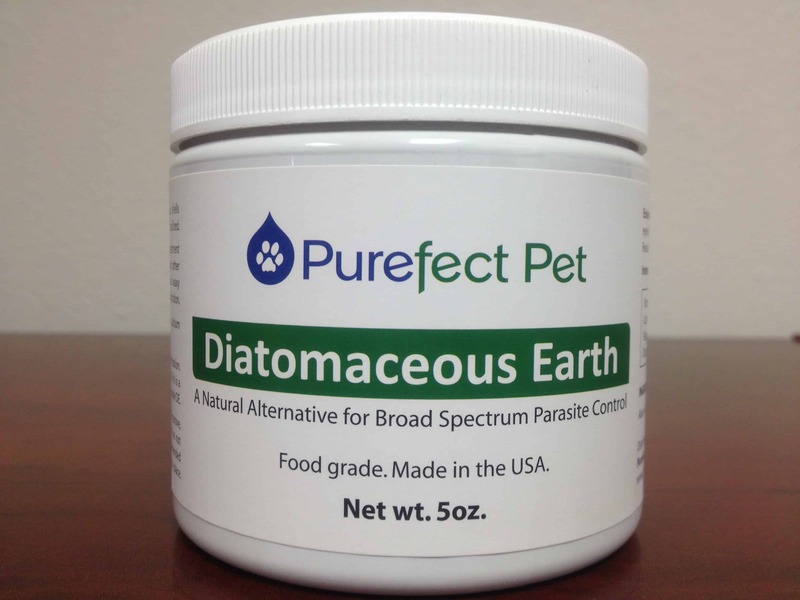 Food Grade Diatomaceous Earth is a powerful natural supplement that will be effective in killing any adult worms present, save for tapeworms. Once the adult worm population is removed, the breeding process is interrupted and soon your dog will be worm free. Mix 1 tsp for small dogs and up to 1tbsp for larger dogs into their food one per day. Repeat daily for up to two weeks. You can also lightly sprinkle their fur with the DE to help prevent and kill fleas to prevent tapeworms. Notes: Ensure you have thoroughly stirred the DE into your dog’s food as inhaling the DE can irritate their lungs and bronchial tubes. Black walnut hulls are very common and highly effective in treating tapeworms. 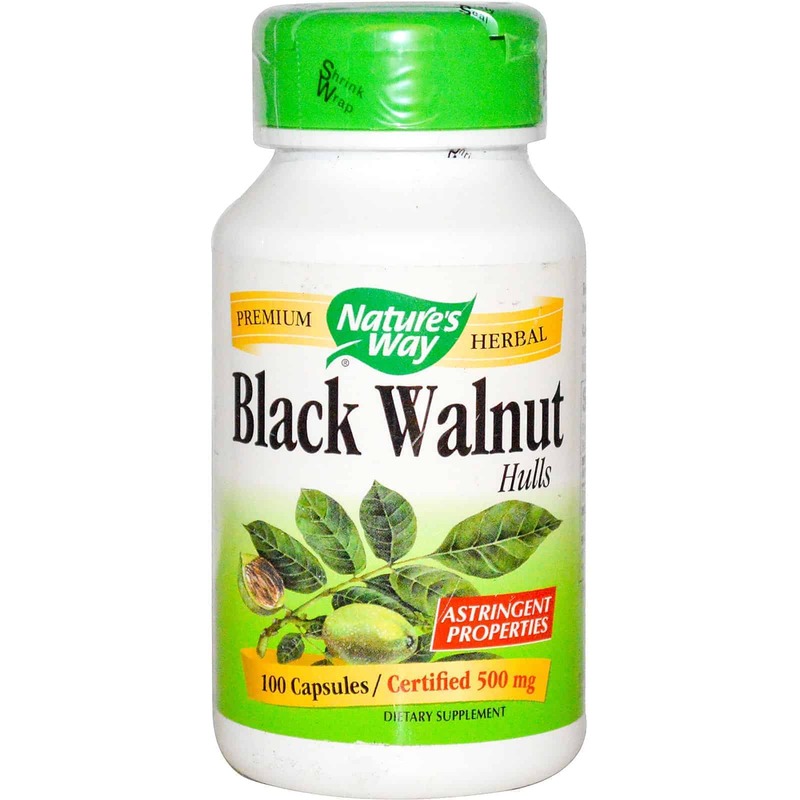 The high acidic content in black walnut hulls helps to kill and expel any tapeworms, eggs, and larvae present. 1 capsule per 20 pounds of body weight is the recommended dosage. Mix with your dog’s food once per day. Notes: Do not exceed the recommended dosage amounts as it can cause vomiting or more harmful effects. 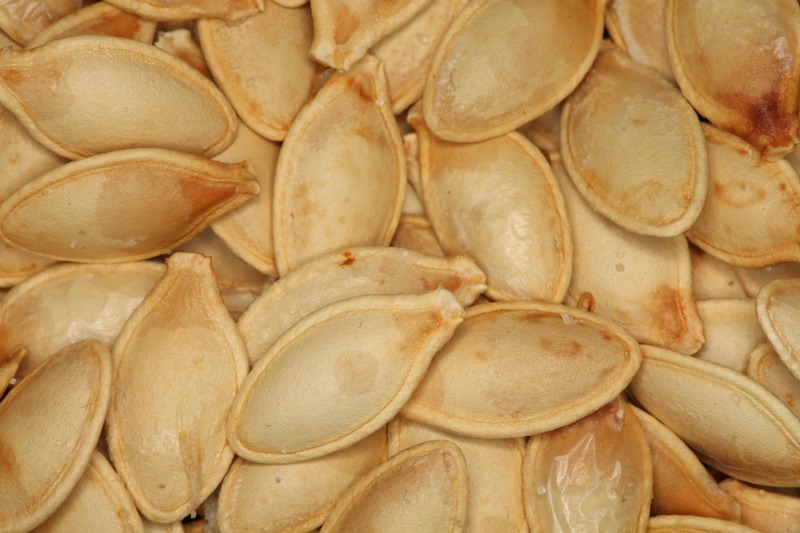 Raw pumpkin seeds are very common for treating worms in dogs. Not only will they help to expel any worms, larvae, and eggs present, raw pumpkin seeds can help to prevent worms from occurring. Wash and grind up ½ cup of the raw pumpkin seeds. Add ¼ a teaspoon to your dog’s food for every 10 pounds of body weight. Repeat twice per day for two weeks. Notes: Raw pumpkin seeds are safe for any age of dog and even for pregnant dogs. 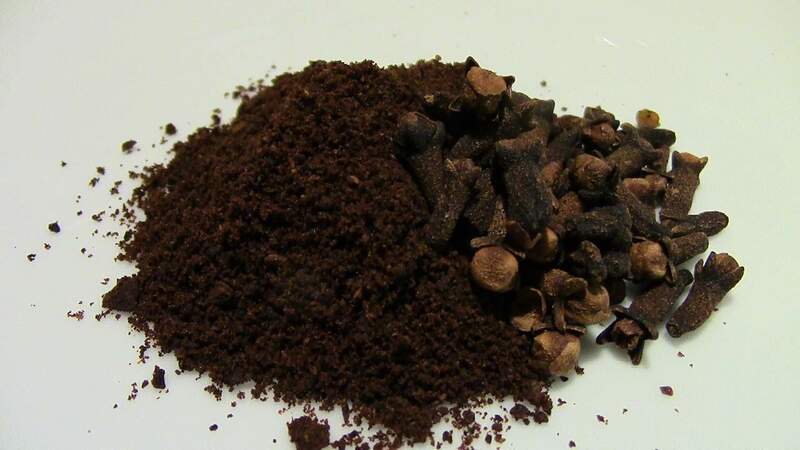 Clove is effective in killing off even the smallest of worms and their eggs. One clove to 10 pounds of body weight is the recommended dosage. Add the recommended dosage to your dog’s food each day. Repeat for at least two weeks. Notes: This remedy should not be used on pregnant dogs as it can cause a miscarriage. For smaller dogs, a small pinch of ground clove can be added to their food. 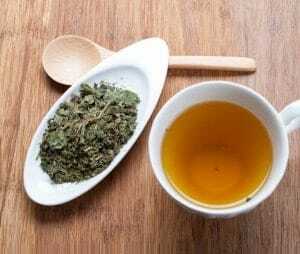 Whether it is goldenseal tea or it is a tincture, goldenseal is highly effective in fighting off intestinal worms. Add 1-3 drops of the goldenseal to your dog’s food. Repeat once per day for two weeks. When your dog has worms, you may notice larvae or eggs on your dog’s hind end. This is why it is important to keep your home and your dog’s area very clean. This includes bedding, cages, toys, and food bowls. Not only will these help prevent a re-infestation, but also help prevent worms from spreading to any other dogs or cats present in the home. Vacuum your entire home daily. Scrub any cages and dog toys with a small amount of bleach. Wash any bedding in hot water and dry on a hot temperature. Wash your dog’s food and water bowl with a tiny amount of bleach and hot water. Be sure to rinse well before giving back to your dog. Repeat this process every couple of days to kill any expelled larvae or eggs. Tapeworms are caused by ingesting fleas so a flea bath is absolutely recommended. You can use a flea and tick shampoo and/or a couple drops of tea tree oil to help get rid of fleas, flea larvae, and their eggs. Flea and tick shampoo of your choice. Bathe your dog and allow the shampoo to remain in a lather on your dog’s fur and skin for at least 15 minutes. This will ensure to kill any fleas present. Repeat every 3 days until there are no longer fleas present. Keeping your yard clean and free from feces is a major step in preventing spread of worms and re-infestation. Once all feces has been removed, sprinkle your yard with DE. Pick up after your dog each time the go outside. Sprinkle your yard with DE every other day. 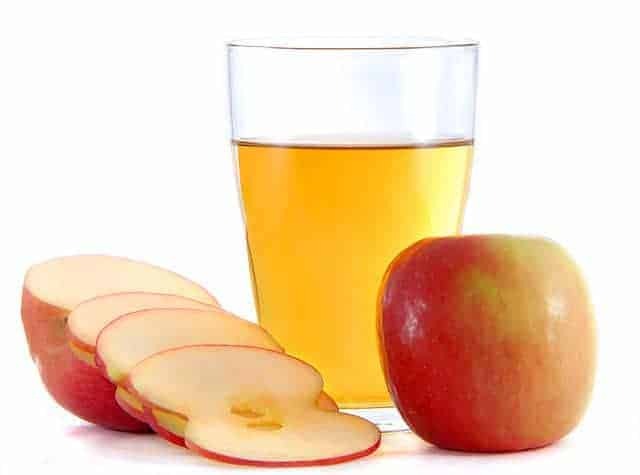 Apple cider vinegar is an excellent home remedy to get rid of worms in dogs. It’s high alkaline content makes your dog’s intestines uninhabitable for any worms present. Add ¼ to 1 teaspoon of the apple cider vinegar to your dog’s water. Repeat each day until your dog no longer has worms. 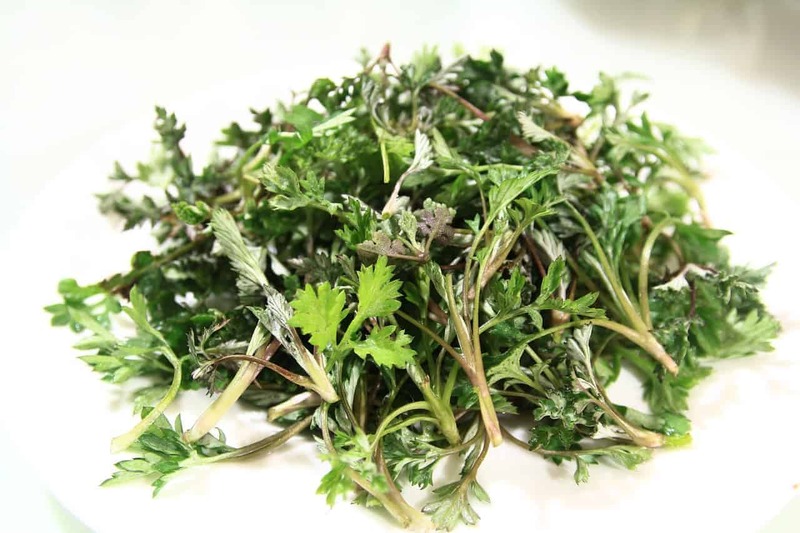 Wormwood is extremely powerful in expelling worms fast, especially roundworms, threadworms, and tapeworms. Add ¼ teaspoon of dried wormwood to your dog’s food. Repeat once per day for no more than 3 consecutive days. Notes: Wormwood can be harmful if you give your dog too much. It is important to not allow your dog to overdose. While this is a strong de-worming method, it should only be used in the most health dogs and only in extreme cases. 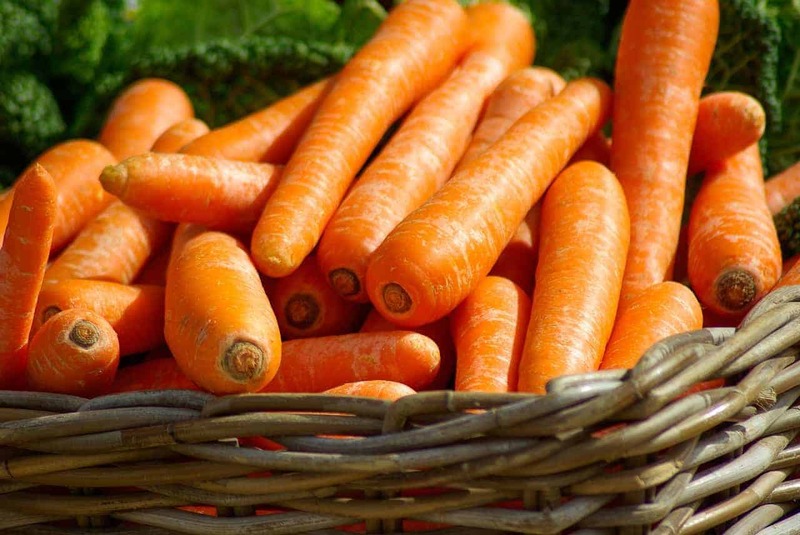 Raw carrot is great for deworming as it removes the mucus of your dog’s intestinal lining which helps to expel the worms. And since carrot has a sweet taste, most dogs enjoy eating it. Add ½ a teaspoon of carrot for every 10 pounds of weight on your dog to their food. Repeat twice daily for at least 10 days. Notes: You may notice your dog’s feces turning orange- if this happens it is ok, but you may want to reduce the amount of carrot they are getting. 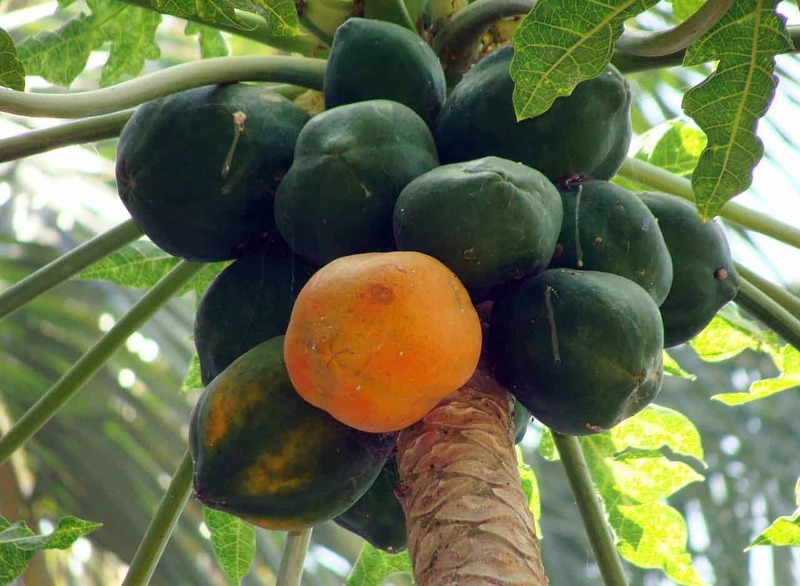 Fresh green papaya is great for eliminating roundworms. 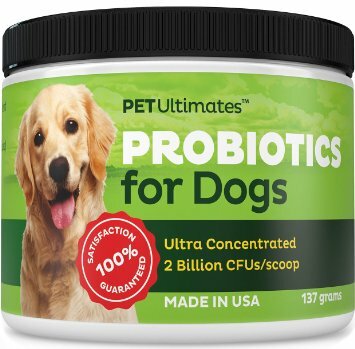 It will provide your dog with the protein to digest old mucus and any parasites that are present. Finely chop the green papaya and add ½ teaspoon for every 10 pounds of weight to your dog’s food. 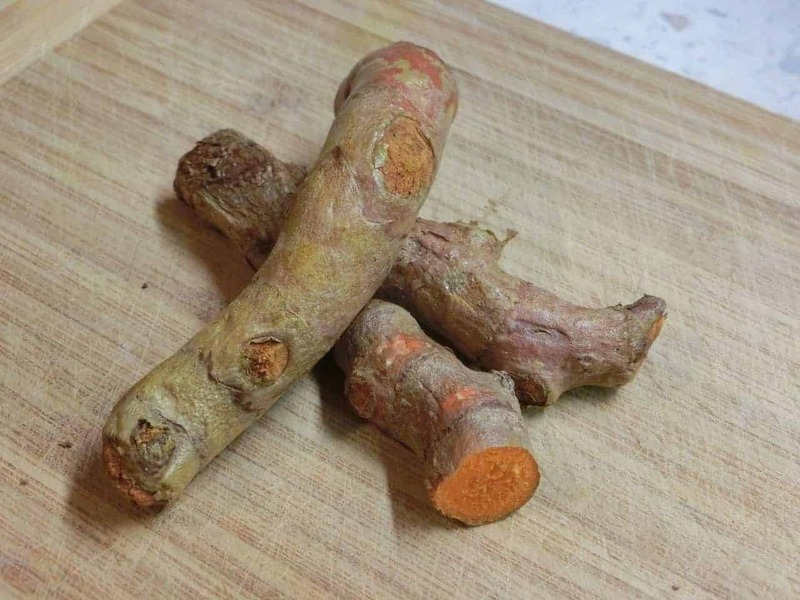 Turmeric naturally contains four compounds that fight and expel worms. In addition, turmeric can aid in any inflammation or damage in the intestines caused by the presence of worms. Probiotics are great for digestive health. Once the probiotics reach your dog’s intestinal tract, they will help to bring it back to a healthy state. Probiotics should be used alongside other home remedies to give your dog the best chance of returning to a healthy state, faster. DONT BE FOOLED - many products contain just one species and as little as 1/20th as much active ingredient of our product. Ours contains two billion CFUs/scoop, while the leading brand contains just a hundred million CFUs per packet....and only 30 packets. EASILY-DISPENSED POWDER ELIMINATES CHOKING RISK - Skip the pill pockets, and stop forcing huge tablets down your best friends throat! Our tasteless powder dispenses in seconds. Your pup wont even know its there, quietly making him healthier with every meal. MORE SPECIES - Most of our competitors just slap a label on some random manufacturers off the shelf, single-species product. But we custom-formulate our product with twenty-two carefully selected species plus an enzyme for gassiness. Then we manufacture it in small batches so its fresh. THE BEST GUARANTEE - If you dont experience what in your opinion is an extraordinary improvement in your dogs health, contact us for an immediate, polite & cheerful refund of every penny. (And you dont have to send back the unused portion.) You must be DELIGHTED or its free. Give your dog ¼-1 capsule of probiotics depending on their weight. Repeat daily for one to two weeks. 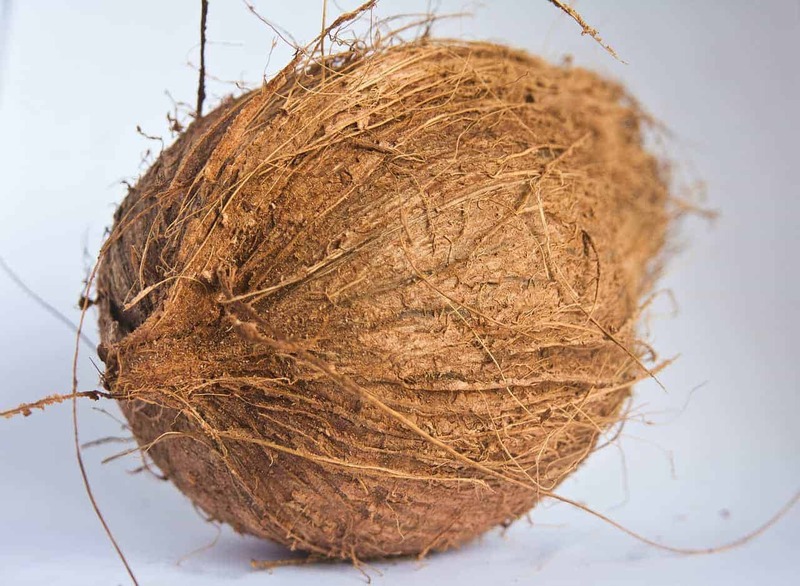 Dried coconut is known as what is called a vermifuge. Vermifuge are highly effective in removing tapeworms from the body. Dried coconut also has a pleasant taste and smell so your dog will be eager to enjoy it with their food. Sprinkle the dried coconut onto your dog’s food. Repeat twice a day for up to ten days. Black Seed, or sometimes seen as black cumin seed, comes from the middle east and parts of Africa. It has been used as a home remedy to cure ‘everything but death’ by indigenous populations for centuries. Black seed is highly effective against fighting worms and safe to use on any age of dog. Measure out ½ -1 teaspoon depending on the weight of your dog and heat the seeds to help remove the bitter taste. Combine the seeds with your dog’s food. Notes: Using the whole black seeds are best, but you can also use black seed oil. If you do end up using the oil, make sure to cut the dose in half. 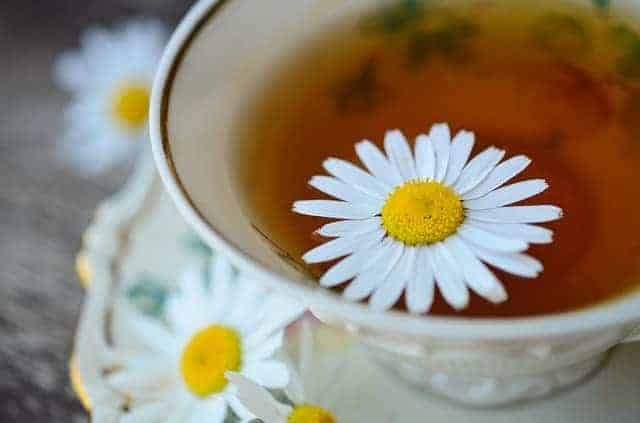 Chamomile is a natural remedy known for its soothing and calming properties which is great in assisting inflammation, bloating, or irritation caused by any worms present. In addition to being a soother, chamomile can directly help to expel roundworms and whipworms. While you can give your dog chamomile tea, a chamomile tincture is more potent to fighting off worms. Give your dog .25 or .50 ml’s of the chamomile tincture per 20 pounds of body weight. Add it to your dog’s water or place it directly inside your dog’s mouth. Repeat twice daily for up to two weeks. Olive leaf extract is powerful in expelling worms from your dog’s digestive system. This is due to the fact that olives contain a potent compound called Oleopurin. The high amounts if Oleopurin found in olive leafs will allow your dog to expel worms without having to give them too much oil. 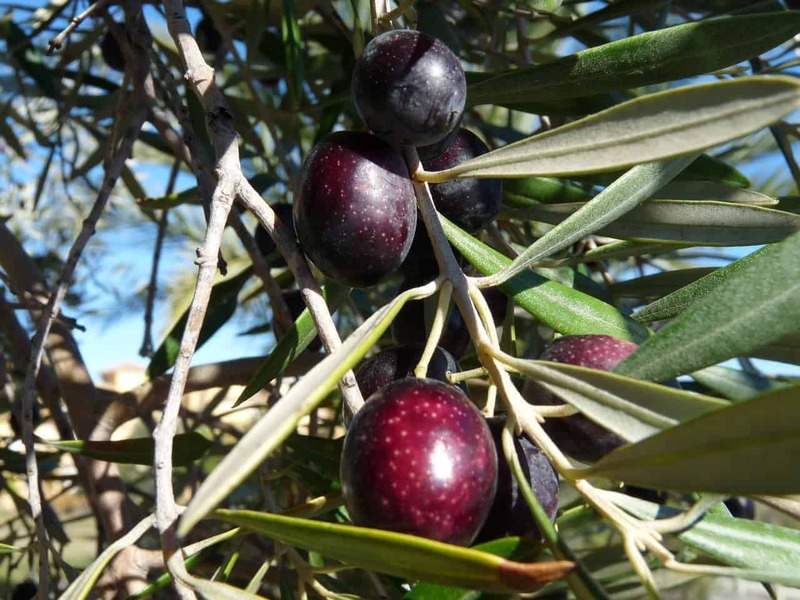 Olive leaf extract is sold with varying degrees of Oleopurin content. Find one that contains 12% or more. Give your dog the proper dosage of the olive leaf extract twice per day with food. Repeat each day for eight weeks. Neem is a strong anti-bacterial and anti-parasite that can be used in humans and dogs. Neem leafs are especially helpful for removing intestinal worms, except for tapeworms. 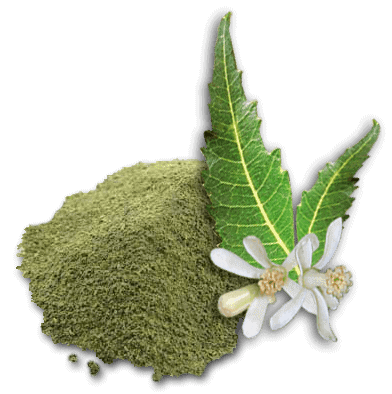 Add the ground neem leaf to your dog’s food and mix well. Repeat twice a day for at least one week to eliminate worms. 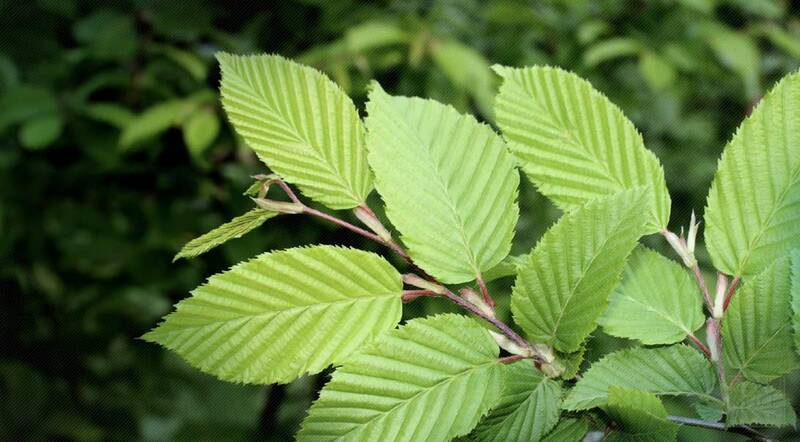 Slippery Elm is a natural and gentle laxative and when your dog takes it, be prepared to take them outside. This powerful, yet gentle laxative will help your dog expel any eggs, larvae, and adult worms that may be present in their digestive tracts.Since it is such a powerful laxative, it is recommended to use Slippery Elm alongside other home remedies for worms in dogs to help eliminate the worms faster and more effectively. Combine 1/8 a teaspoon for every 10 pounds of body weight with your dog’s food. Repeat once per day for one week. Oregon Grape Extract contains the highly potent compound known as berberine. Berberine is a strong immune booster, infection fighting, anti-parasite agent that is used for a variety of health conditions in humans and dogs. 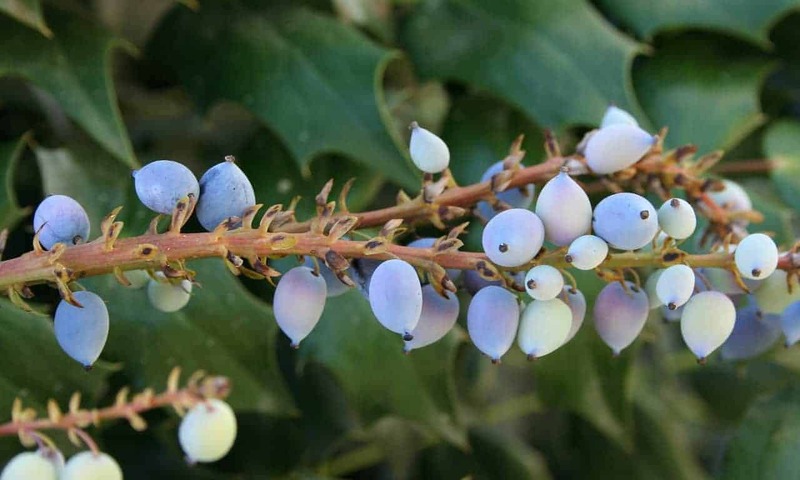 Oregon Grape Extract can also be used as a liver tonic. Add 12 drops for every 20 pounds of weight on your dog to your dog’s food. Repeat twice per day for one week. Notes: It is very important to follow the dosage amount so you do not give your dog an overdose. Do not use this home remedy if your dog is pregnant or lactating. One of the main reasons worms thrive in your dog’s system is due to the easy access of food. When you take away their food source, even for just 24 hours the adult worms and larvae will weaken and it will interrupt the breeding process. Take away food and treats from your dog for a 24 hour period. Allow your dog to have access to fresh water during this time. Use this in combination of other home remedies for strong and more effective results in eliminating worms. Repeat the fast once per week for one month to fully eliminate worms. Notes: This remedy should only be used in healthy dogs. It is advised to contact your vet before placing your dog on a fast. Diet is one of the most important parts to your dog’s overall health. When your dog has worms, you need to closely examine their diet since worms thrive on foods rich in fat and dairy. Remove any foods in your dog’s diet such as whole milk and eggs. These foods are a favorite for any intestinal worms. You may re-introduce these foods to your dog’s diet after three weeks of being worm free. MONEY-BACK GUARANTEE! Were so confident in the Dogs Dewormer that we offer a 100%, no questions asked, taste guarantee. Just let us know within the first 30 days, and well refund your first Box - NO QUESTIONS ASKED! Its really that simple. While these home remedies for worms in dogs are excellent to help get rid of worms, prevention is one of the most important steps. Preventing worms from returning or worse, spreading, is crucial for your dog’s, other pets, and even your families health. Here are a few tips to keep in mind to help prevent worms from ever coming back or spreading. Make sure your dog has a strong immune system. Giving your dog vitamins and proper, high quality food can help ensure they have a strong immune system. Dogs with a strong immune system will be less likely to develop worms. 80% of your dog’s immune system occurs in their digestive system. A healthy diet of whole foods, natural, or even a raw meat based diet are best for their overall health. Keep your yard free from feces regularly. 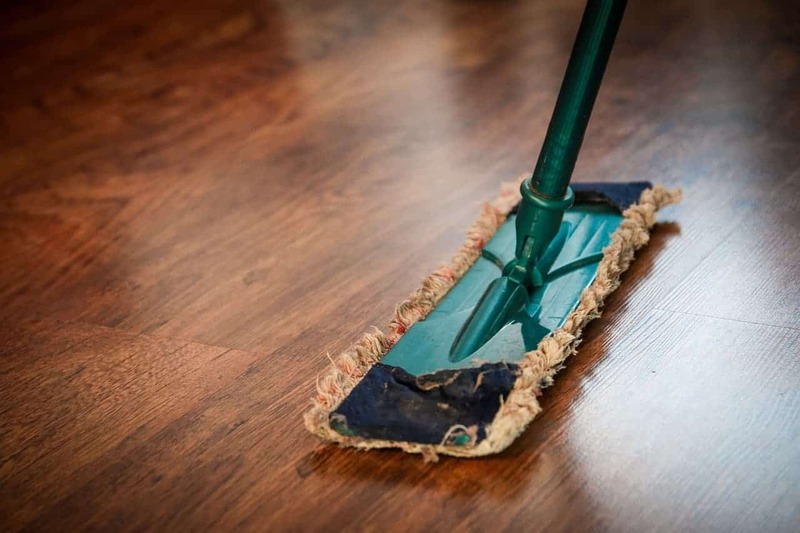 Keep your dog’s environment clean and make sure to clean it regularly. 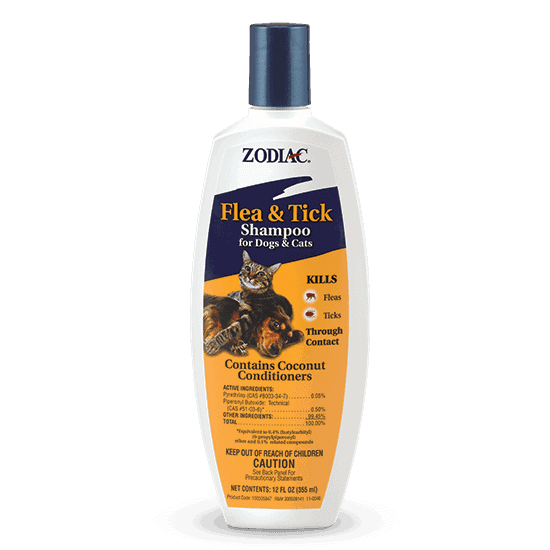 Once per week is recommended to avoid fleas, ticks, and worms. And your pet will enjoy having a nice clean place to live and rest. Clean your dog’s food and water bowls each day to prevent oral spread of worms and other illnesses. Make sure to keep your dog away from any animal feces when you are taking them for a walk or to the dog park. Feces is the most common way for intestinal worms to spread so keep a close eye on your dog whenever you take them out. Test your dog’s feces every two months after a worm infestation to ensure they have fully been eradicated from your dog’s system. 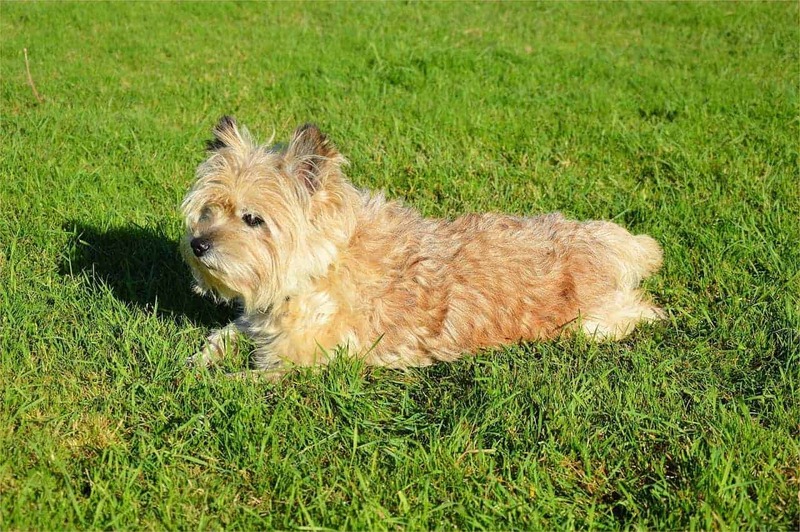 I hope you have found some useful information and tips to help get rid of worms in dogs. Pet health is important to me which is why I have found these natural remedies to ensure you are getting your dog back to its ideal state of health safely.